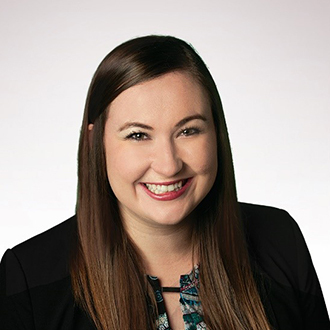 Meaghan Hildinger lives in Denton, Texas, where she is the Owner of Big Day Coordination and the Assistant Director of the Professional Leadership Program at the University of North Texas. Hildinger was a member of the Honors College while she was earning her B.B.A. in Entrepreneurship with a minor in German from the University of North Texas in 2013. She earned her Master’s degree in Business Administration from the University of North Texas in 2018. Having grown up in the DFW area, UNT had always been a forefront option for my degree. My dad is also a UNT alumnus (when it was NTSU). I was undecided in what I wanted to study, but I had always been a “band kid” and vocalist. Though I didn’t believe I wanted to pursue music as a career, I still wanted to be involved which is part of what drew me to UNT. There were also many scholarship opportunities at UNT, which was ultimately the deciding factor. I would consider myself to be pretty achievement-oriented, so being a member of the Honors College seemed to align with those goals. It was my hope that being a member of the Honors College would challenge me academically and open up new opportunities. I enjoyed the intimate class sizes and priority registration! It was a really great benefit to sign up for classes prior to seniors. Getting my top choice in schedule gave me the ability to work throughout college. I am blessed to have received several merit-based scholarships throughout my academic career, one of which was awarded through the Honors College. Additionally, having made connections with the staff helped me in the long-run, as they were helpful in providing recommendation letters and acting as references when I entered my professional career. Find your people. Become part of a community. Whether it is through the Honors College, a social club, Greek life, a religious group, or just a really strong group of friends—I don’t believe we were created to go through life alone. Having support when life becomes stressful is so very crucial, as is providing that support to others. I worked in the food service & hospitality industry until I became a flight attendant for American Airlines. I found my “community” at UNT as an undergraduate through the Green Brigade Marching Band (GB), and in turn, through a ministry called Cru (where I met my husband!). I have too many great memories to count from being involved in these groups, but I remember feeling immense pride in being part of something greater than myself at UNT (and that was before we were good at football!). I know all of the words to the Fight Song & Alma Mater, thanks to GB, and still bleed Mean Green. Once you find your community, it is a wonderful place to be. I was a professional traveler for 2 years and still chose to come back to Denton. I love this town. It feels super weird to brag about myself, but I am really proud of what I’ve been able to accomplish as a small business owner and graduate student. I’m honored to have launched a wedding planning business (Big Day Coordination), which took first place in the 2018 Best of Denton County awards. Through my graduate studies, I was named the university's 2018 Texas Business Hall of Fame Scholar and received first place in the 2018 Westheimer New Venture Competition through the Murphy Center at UNT. I have been given many incredible opportunities, thanks to UNT and God’s providence. I’ve followed typical millennial behavior in my short 5 years since graduation. I was a flight attendant for two years, then entered higher education working at my alma mater (Go Mean Green!). I began in marketing & communications in alumni relations and events, then moved over into higher education fundraising as the assistant director of annual giving. Most recently, I accepted a new role in the Professional Leadership Program, which is in the College of Business at UNT. And of course, alongside my full-time career, I launched Big Day Coordination. Apply for as many opportunities as you can handle—scholarships, competitions, internships, etc. So many doors were opened for me because I applied for things I didn’t think I could get. Get a mentor (or a few) who is successful in an area you wish to grow. If you’re a UNT student—apply for the Professional Leadership Program (shameless plug). We’ll pair you up with a mentor while you go through our leadership & soft skills development program! Applications are generally open from December – mid-March for the following academic year.